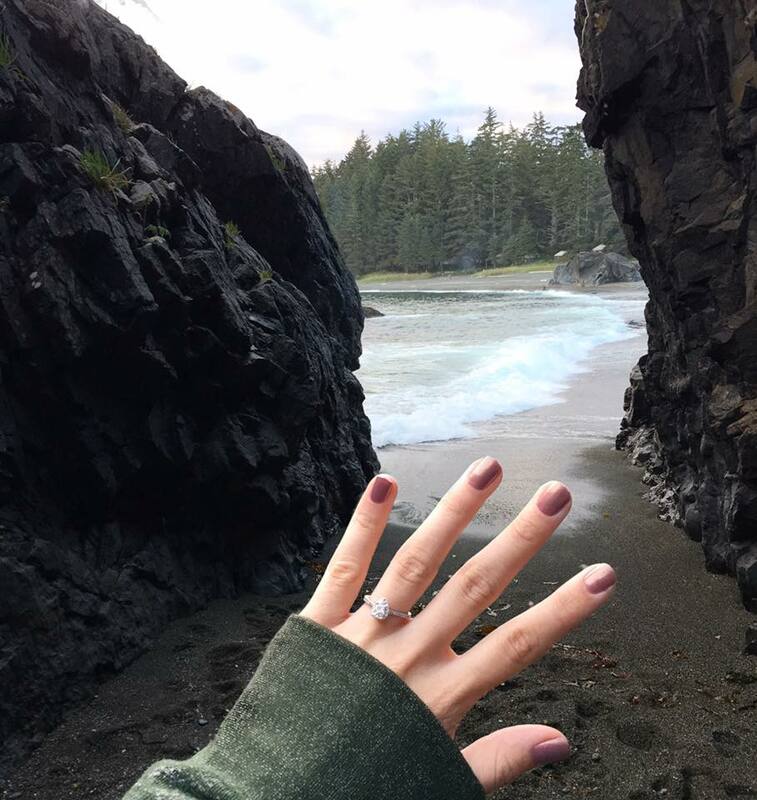 Here do I begin, 31 weeks pregnant is uncomfortable of course but I went camping starting on 31 weeks and the 4 days being in nature was great! My only complaint would be walking because of my SPD. We went to the beach at our campsite because I wanted to take photos of the sunset & the beach! Spence told me afterwards he wanted to do it at the beach but there was so many people. & it worked out perfectly because I saw this cave & wanted to go to it! I was taking a video of us going to the gave because it was a little tough since the tide was coming in. It's kinda long and anticlimactic hahah but going to it and then he went into the cave further & was like " whoa! Come loook!" I thought there was like a crawl space to another side and I leaned over and he turned around on one knee and asked me. "Will you marry me?" Eeee!! I could feel my heart beating out of my chest & my pulse on my wrist going crazy. 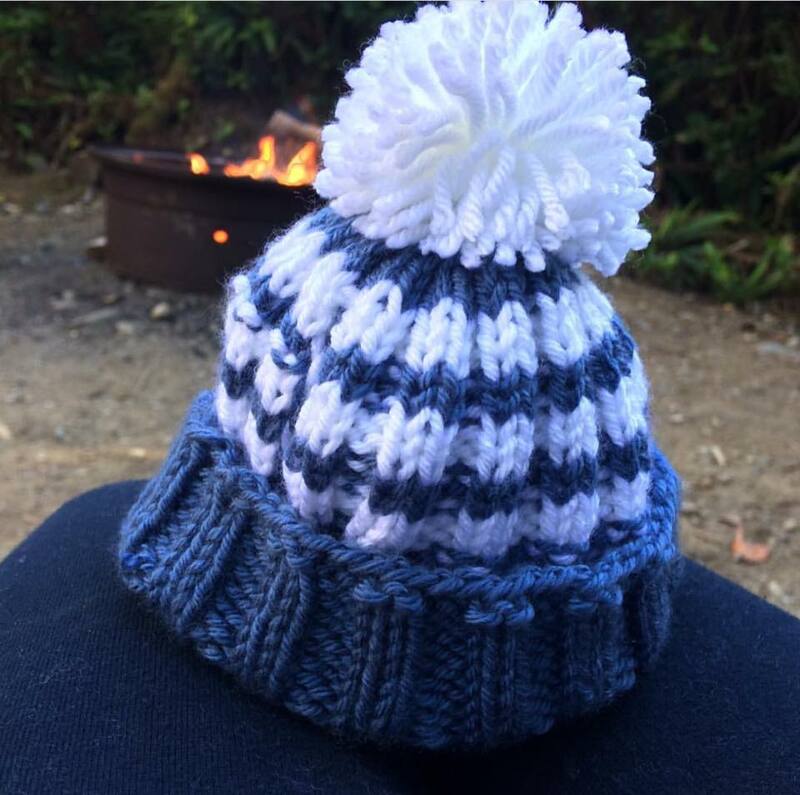 We sat by the campfire tons & Julie, Spencer's mother made our little one this cute toque! I requested a pom pom and Julie hadn't made one for a very long time but she made it perfectly! Spence & I already decided little ones first hat he comes home in will be this one. We love it so much! Over all, 31 weeks wasn't that bad. I can only complain about being in pain so many times too! I do however, have a new rib pain I don't know if I stated that last week or not.. BUT it's gotten worse as baby grows and so I've taken off the last couple of days at work.. I only made it through 2 days this week so I'am highly considering medial leave at this point.. My lovely supervisor and I have talked and will be seeing what we can do to accommodate the rest of my pregnancy with a standing desk is we can get one in quick enough. Mine is meant to be one but I think it may be broken because it doesn't go very high and is still very much a sitting desk. My work ethic is so important to me that the other day I cried because I feel like I'm becoming useless. I don't know what it is or why I have such a hard time with relaxing & taking care of myself so I'm not uncomfortable but I just feel guilty lazing around at home! I hate it!